Face Value: You can’t get the full effect from just the image here, but this is one of the most beautifully designed books I have ever seen. 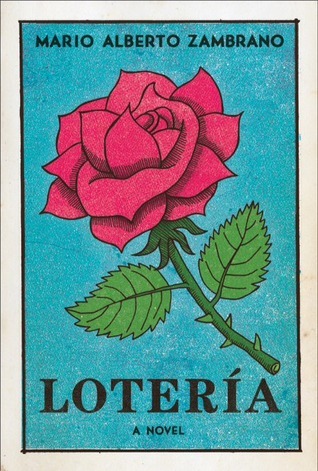 The cover image is stunning – Lotería cards are beautiful anyway, and obviously relevant to the story. The rose card is perfect for the cover, and the images throughout the book are a beautiful part of the way the book is put together. But it’s not just the cover art – every piece of this book is crafted to be a piece of art in and of itself. It’s the kind of book you want to pick up off a shelf. Does it Break the Slate? Not really, but that’s ok. This is a beautiful, heartbreaking book about a little girl who has grown up in an abusive household. Something terrible has happened to her. Luz is not ready to break slates on her own yet, but we end the book with the hope that she’s going to get the help she needs to grow up into a Slatebreaking young woman. And if this book can inspire conversations about child abuse – that in itself is definitely a Slatebreaking element. Who would we give it to? I think that the aesthetic of this book, as well as the unique style of storytelling will appeal to readers of literary fiction who want to try out some YA. And it’s a powerful exploration of a difficult topic. It is not, however an easy read, and I would worry that it would be triggering to some children or young adults going through abusive situations. It might also be cathartic to others. So be strategic in your recommendations. Review: Five days ago something happened. Luz’s sister is in the hospital, her father is in jail and Luz is in a state-run home for kids. Luz isn’t talking yet. What she does tell her social worker will determine what happens to her – whether she goes permanently to a group home or moves to Mexico with her aunt. She does have a deck of Lotería cards and a journal. She uses them to sift through her story, telling it in pieces until we find out what really happened. It was very hard to read this book. Not because it wasn’t good – the writing is excellent, the narrative device of using the Lotería cards to shape the story works really well. But it is incredibly hard to read about a little girl who has been damaged by a system of abuse, who may not have a happy ending awaiting her. It’s beautiful, but it’s devastating. The violence in the story is not overly graphic, but it is starkly, frankly portrayed in a way that is hard to take in as a reader. Imagining the experience for a child like Luz is even harder. This was a beautifully constructed book. However, there were moments when I felt that I was more aware of how beautifully it was crafted than I was swept away by the story. The piecemeal nature of the cards pulling together Luz’s story is a device that works, and builds to a complete story, but the lack of fluidity and jumping around in time kept me from fully immersing myself in her narrative. It had a distancing affect on me as a reader – which is a good and bad thing. We don’t know what is next for Luz and her family. The book ends on an ambiguous note. But I am hopeful that this character gets the help she needs and grows up into a tough woman who can take care of herself. I think that this book could have a powerful impact on young readers in a way that is absolutely, meaningfully Slatebreaking. This entry was posted in Reviews, Young Adult and tagged Child Abuse, Covers, Domestic Violence, Family, Houston, Loteria, Mexico. Bookmark the permalink.